As much as I resisted decorating for fall while we still have summer weather, I finally caved in. I decorated my mantle and made 2 new wreaths. 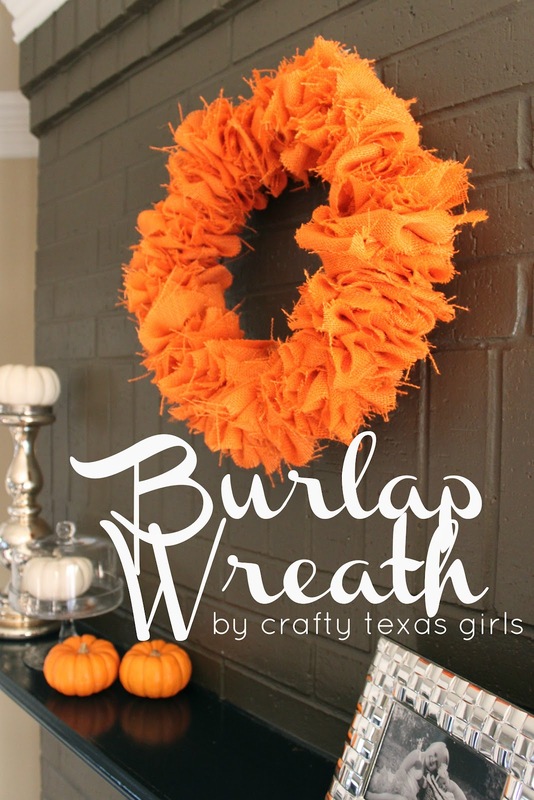 My mantle wreath is based on the 'infamous' burlap wreath from last year. But this season, it is *new and improved* because instead of regular brown burlap, I used orange! -Grab one wire hanger and untwist the top. -Then shape it into a circle using your hands. -Finally weave strips of 3 inch wide burlap on the hanger by poking the hanger through the middle of the burlap. 1. The more burlap, the better. Last year I only used 2 yards of burlap and it wanted to sag. So this time around I used 3-3.5 yards of burlap. 2. 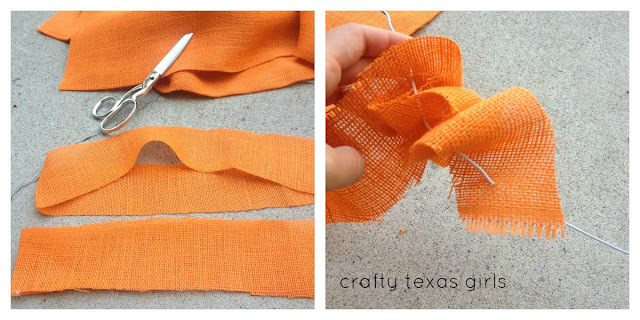 Create 'tension' in the burlap by twisting and flipping the burlap as you weave it back and forth on the hanger. The more twists and turns, the fuller the wreath. With my new wreath in hand, I decided it was time to spruce up my mantle. I cleaned everything off and started with a blank slate. Since my fireplace is painted dark brown, I think it looks best with contrasting decor. So, I added white pumpkins, candle sticks, orange pumpkins, books, white raffia orbs, and some mercury glass. You could also use vases, plates, bowls, candles or anything that complements your color/design scheme. Everything on my fall mantle is from my house. I like to 'shop' my other rooms when decorating for the holidays- no need to go out and buy a bunch of themed items. I'd rather use things I already have and can use again. I think it keeps holiday decor looking a bit more chic! Have you decorated for fall? Has the arrival of fall inspired you to craft anything new? 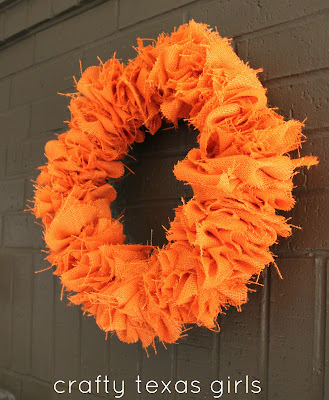 More fall decor ideas can be found on my 'tutorials' page at the top of the blog. Click here to see! Sharing my fall mantle at: Centsational Girl, Home Stories A to Z, Serenity Now, Tatertots and Jello, Positively Splendid, and Too Much Time on My Hands, the 36th Avenue. Happy FAll to you! 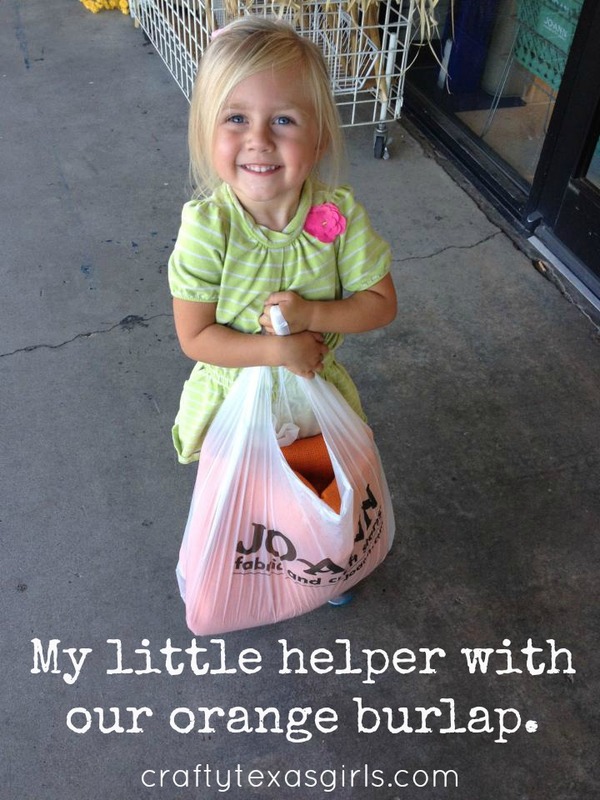 I LOVE that wreath and your little shopper is so cute! I'm determined to start decorating too… even if these TX temps aren't exactly cooperating. 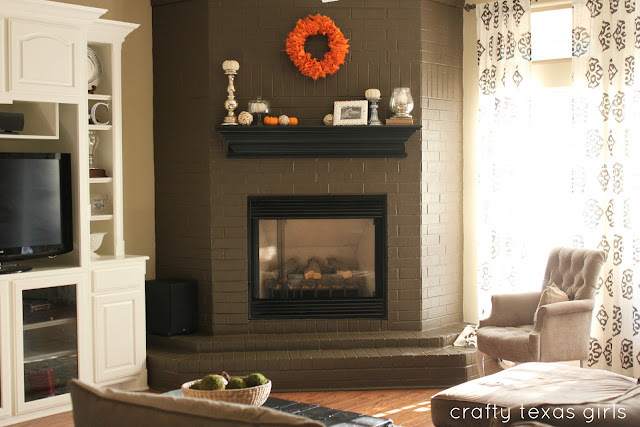 I love how simple your mantle is! But it looks so good! Great job! 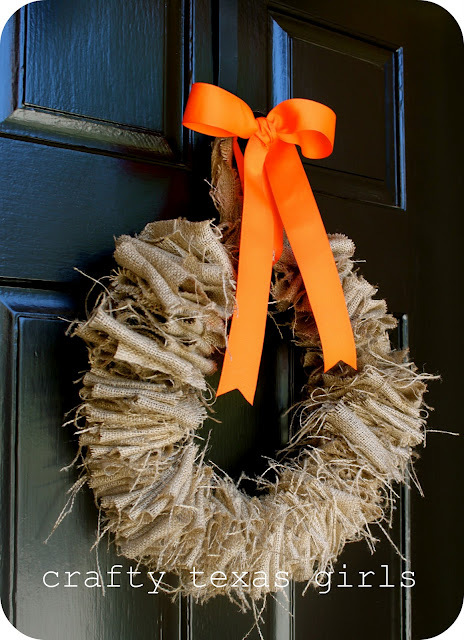 love it.....I made a burlap wreath with the regular old burlap, but your orange looks beautiful! 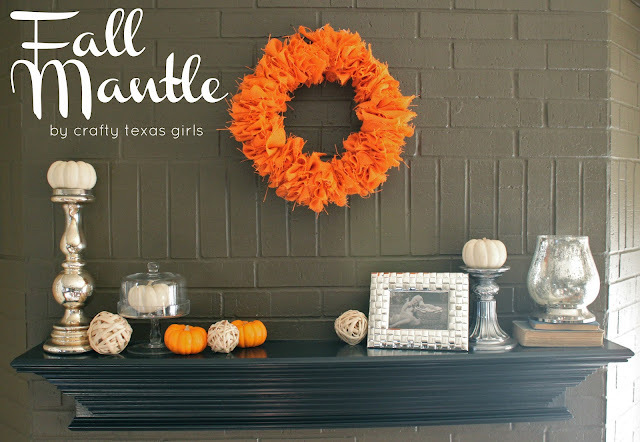 I love your mantel, the white pumpkins and orange wreath combo are fall perfection!! Hi! I think you did a great job sprucing up your mantle... that mercury glass is beautiful with that orange wreath - I'm a true sucker for anything orange. BTW - I like how you decided to keep you mantle your mantle and not put your TV up there, like I did - now I don't have a true mantel to play with anymore. But I do have a large shelf that suffices. Great job! 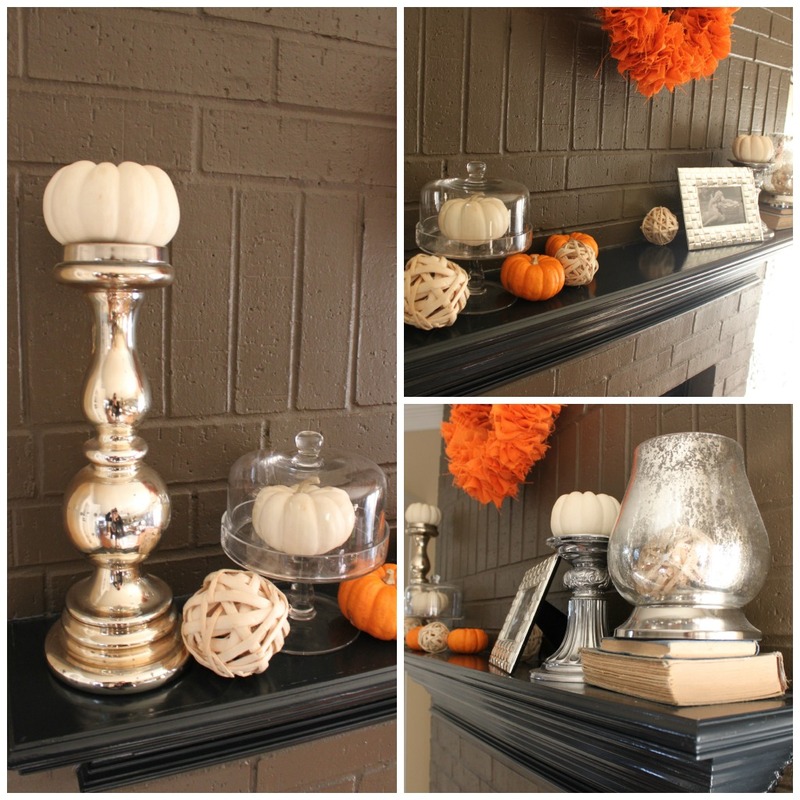 I love your beautiful Fall mantel! The orange really pops against the darker color on the wall! It looks great! I think my favorite part is the white pumpkin in the tiny cake stand!